Contact National Grid by calling their UK phone number 01926 65 3000 for customer services and to report an emergency such as a gas leak or electricity power cut. Phone the National Grid operations headquarters on their UK contact number 01926 653 000 for customer service advice regarding gas and electricity infrastructure. Suppliers may also call this helpline for information on facilities management, maintenance of electrical systems and commissioning of new tunneling projects. This telephone number is open during standard opening hours of 9am-5pm Monday-Friday, therefore closures will be in affect during weekends and UK bank holidays. Calls will be charged at local rates, which means you will typically pay a per-minute rate plus a per-call access fee, however inclusive minutes on your tariff can be used to contact the National Grid for free. Contact National Grid for free on their 24-hour emergency helpline 0800 40 40 90 to report a power cut, damage to overhead electrical lines or subsidence over underground cables. This can also include reporting trees growing dangerously close to power lines and deliberate vandalism. This helpline is free to call from all UK landline and mobile handsets, however calls from payphone devices may not be accepted. Turn off your gas supply at the mains where possible. Do not use sources of naked flame such as matches, cigarette lighters and gas hobs. Open all doors and windows to allow the gas to dissipate. 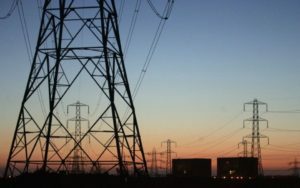 Contact National Grid by calling their electricity enquiries number 01926 654 634 to set up new connections, for commercial engineering services (CES) and for information on how electricity network transmission charges are determined. Furthermore you can call this helpline if you have concerns about how electric and magnetic fields (EMFs) will affect your property if they plan on building new infrastructure in your area. Phone the National Grid on their gas enquiries contact number 01926 654 640 for contract disputes, to notify your intention to add new connections and for advice on future commercial energy strategy. Please be aware that this helpline is only open from 9am-4:30pm Monday-Friday, hence closures are likely during bank holidays. If you would prefer to contact the National Grid in writing you may either send letters to their offices or messages via their email addresses. Moreover you can find out about the latest changes to the UK energy market & network by visiting their various social media profiles. You can send letters to National Grid by posting them to the relevant address provided below. Please note that it may take up to a week to receive a response to your enquiry so if you have an urgent question it is recommended that you use their telephone helplines instead. National Grid, 1-3 Strand, London, WC2N 5EH, United Kingdom. National Grid, National Grid House, Warwick Technology Park, Gallows Hill, Warwick, CV34 6DA, United Kingdom. National Grid, St Catherines Lodge, Bearwood Road, Sindlesham, Nr Wokingham, Berkshire, RG41 5BN, United Kingdom. National Grid, 1100 Century Way, Thorpe Park, Leeds, LS15 8TU, United Kingdom. National Grid, Osprey House, 5 Hunter Road, Pegasus Business Park, Castle Donnington, United Kingdom. National Grid, 35 Homer Road, Solihull, Birmingham, B91 3QJ, United Kingdom. National Grid, Mersey Road North, Hollinwood, Failsworth, Manchester, M35 9FF, United Kingdom. National Grid, PMC Hitchin, Cadwell Lane, Hitchin, Hertfordshire, SG4 0SL, United Kingdom. National Grid, Kirklington Road, Eakring, Newark, Nottinghamshire, NG22 0DA, United Kingdom. Email National Grid by sending messages to their various email addresses which you can access via their customer care website. Note that these are not manned 24 hours a day so emergency enquiries should be directed via their telephone helplines provided above. National Grid use their profiles on social media websites to promote upcoming changes to the energy network as well as wholesale price changes to gas and electricity. Moreover if there has been a power cut in your area their staff will update you on the progress of their engineers via these platforms.